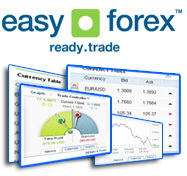 A currency uptrend occurs when the currency trading price is on an upward rise. In an uptrend, the trend line is drawn below the graph, through the lowest swing-points of the currency trading price. The first thing you need to make sure you do concerning currency trading uptrends is to determine the general direction of the currency price. For the right recognition of uptrends you need to make use of various trading charts, including hourly and daily charts. This way you'll be looking in the big picture as well as in the current market direction during the times you are trading foreign currency. Next, you need to be aware of the fact that the best time to invest in and place an entry order, while an uptrend is on its way, is right after a long and considerable downtrend. This means the currency will have a long way up the chart, and usually means the currency will regain its former price, and even surpass it. Another option is to follow the currency trading uptrend until it finishes, and thus sell the currency just as it is beginning to drop.